Heidi Reina, M.S., Ed, is an educational technology integrator and former teacher, reviewing free educational websites and apps. There's a rich variety of free webtools that helps students, teachers, and homeschool parent-teachers share their learning with other students, teachers... even the world. Paper and pencil are on their way out. The typewriter is ancient history. Web tools have taken over. There are TONS more available than I have listed here. But my focus in this article is on software and webware - freeware - that can be used in any subject area. This is a sampler of the different kinds of web tools available to kids and educators. There are more than 300 free webtools listed on LearningReviews.com Learning Tools. Did you see that one coming? Most of us have seen Google Earth in action on CNN News as they zoom in on some disaster. But GE's uses for learning are limited only by the imagination of students and teachers. If you're studying Earth Science, I can't imagine doing it without a volcano or mountain tour like those you can download from Mountains and Volcanoes. History teachers can help students explore Ancient Rome in 3D. 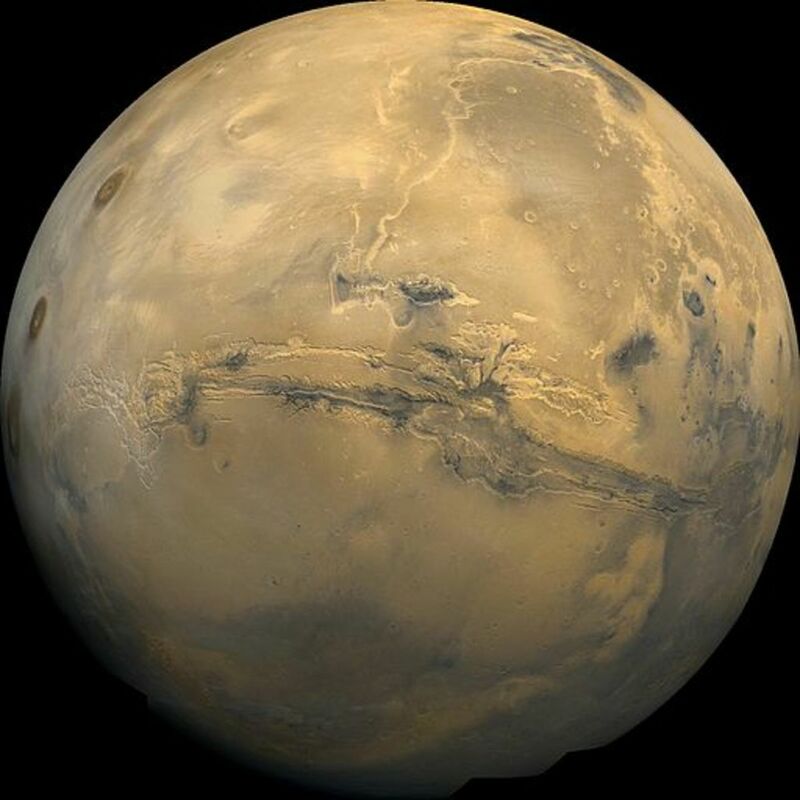 You download the Google Earth software to your desktop or laptop. This is memory intensive software, so if your system is older, check out the minimum requirements to run it first. Be sure to take a look at the Google Earth for Educators for lessons, tutorials and tips, and a teachers' forum. Also helpful is another site, Google Earth Lessons to see what you can download from teachers who have been-there-done-that. 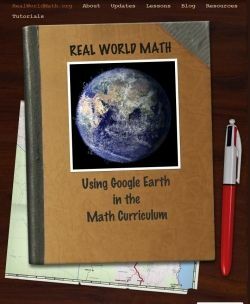 There are even ideas for using Google Earth with Real World Math and English with Google Lit Trips. More lessons ideas are available on Teaching with Google Earth. Because GE (and the tours/lessons) must be installed and run from each computer it's used on, I found it worked best in my classroom with a digital projector from a class computer. Secure for student use at all ages when downloaded using a teacher's or parent's email account. For a global view from a different perspective, try out ePals. Many of you may have heard of its usefulness in foreign language learning as a secure means that a class in one country can communicate with classes in other countries. But it is so much more than that. It combines secure e-mail and blogging features. (Their SchoolBlog won a 2006 award for "best blog for education.") The collaboration features make it useful for virtually any subject area and grade level. You can create your own project, or choose from several available on the website. All this, and ePal will match you with a class of students in China, Australia, India, Iraq, Bolivia, Kenya, or even across town -- 200 countries and territories. The email and blogs use translation software in six languages, so don't let lack of proficiency in the other class's language hold you back. And if you're learning a foreign language, I think this is THE place to go to practice it. ePals is completely Internet-based and nothing needs to be installed on your desktop or laptop. I loved it three years ago when I used it with a class, and it has only gotten better since then. So catch the wave and join the global classroom! Secure for student use. Student accounts created under teacher account. Outside volunteers working on projects with students have background checks before communicating with class members. Social media, wikis, kid-friendly search engines. These are all the tools of the modern classroom. And often it seems the students are light years ahead of me on the basics of using them. In this book, Jessica Parker does an excellent job of explaining the WHEN and WHY of using the tools to further your educational goals while keeping your students fully engaged in learning. 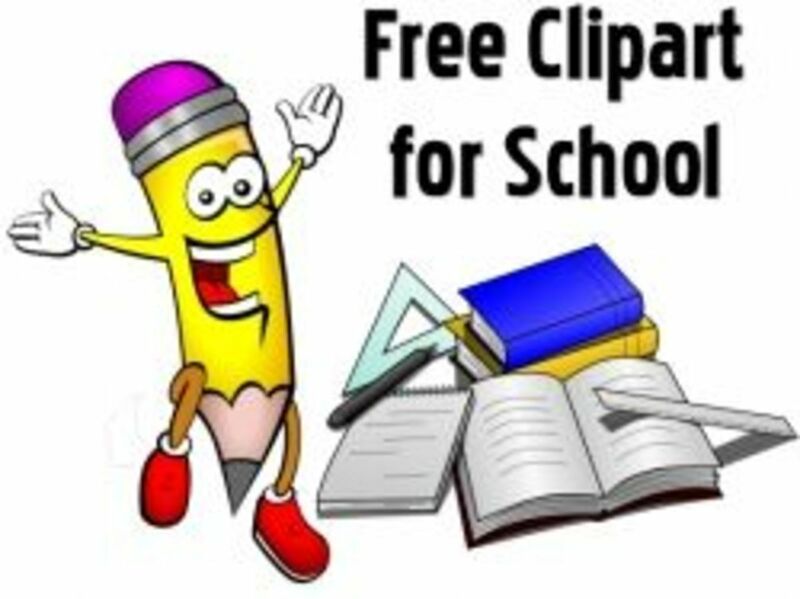 How about a free substitute for Microsoft Office? ThinkFree Office 3 combines wordprocessing, spreadsheet and presentation software into a free software and webware combination. It's compatible with older and newer versions of Microsoft Office and has the look and feel of MS Office. You can opt to work completely online, or download the desktop version. If you opt to download the desktop version, you can work on documents online from anywhere, and synchronize them with your home or office computer when you return to it. 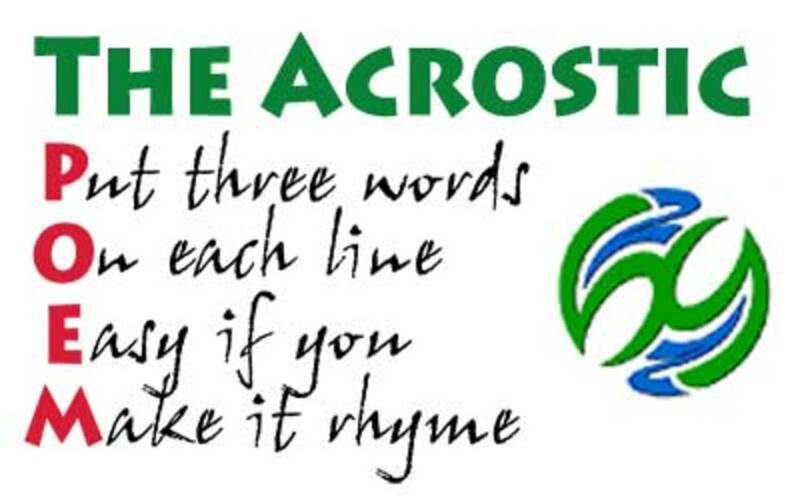 The wordprocessor, spreadsheet, and presentation software doesn't have all of the bells and whistles of MS Office. But it's very serviceable for student and home use. And so far, it's saving me the need to upgrade my MS Office 97 desktop software, so long as I can stay within the 10MB file size limit for the ThinkFree freeware version. Because email registration information is required to work online, students under age 13 require adult supervision for use. If you'll be working just from your desktop or laptop, consider using Sun Microsystem's OpenOffice. Like ThinkFree, it is compatible with Microsoft Office 2007 and earlier. This productivity suite has a wordprocessor, spreadsheet, database and presentation package that all look very similar to MS Office. In addition to its other features, OpenOffice contains a Draw module that makes it easier to create graphics, organizers, flowcharts, etc. Another module, Math, helps you to create math equations using symbols, then embed the equations in Write, the wordprocessing module. Aside from these features, OpenOffice.org provides forums where users can resolve problems, study tutorials, and share templates. 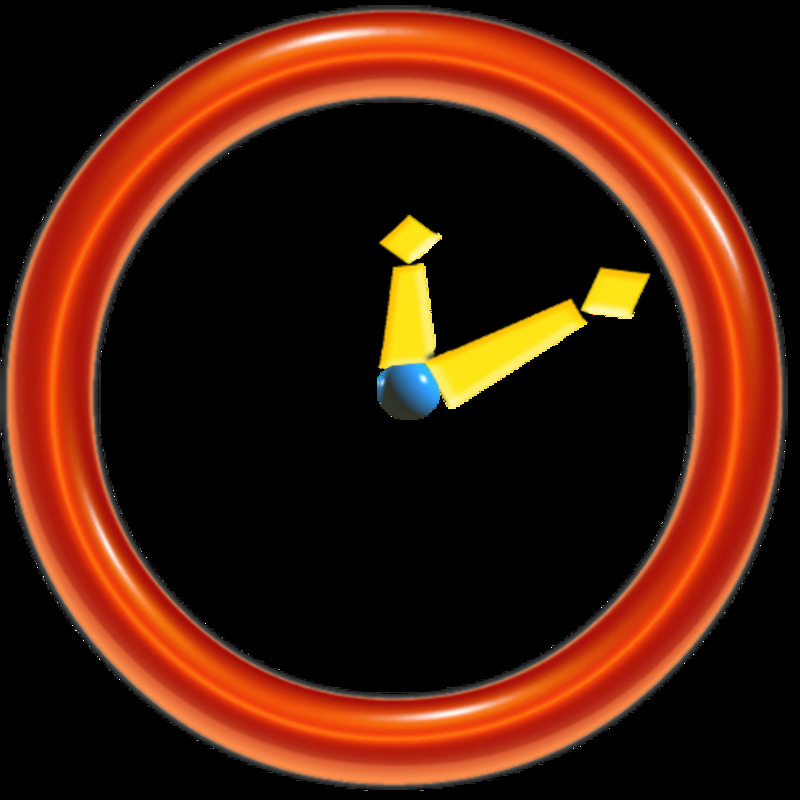 Many of the add-on templates are free, while some are commercial and will charge a fee. OpenOffice is compatible with MS Windows, Linux and MAC, and it's available in several languages. All together, this highly rated open source software provides lots functionality for teachers, students and parents. Secure for student use when software is downloaded under adult supervision for students under 13. 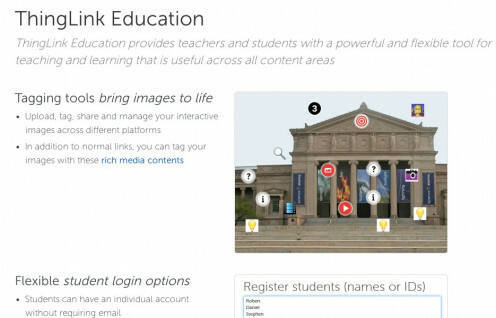 ThingLink Education gives students a way to tag images and make them interactive. It's a great tool to use as part of a presentation. 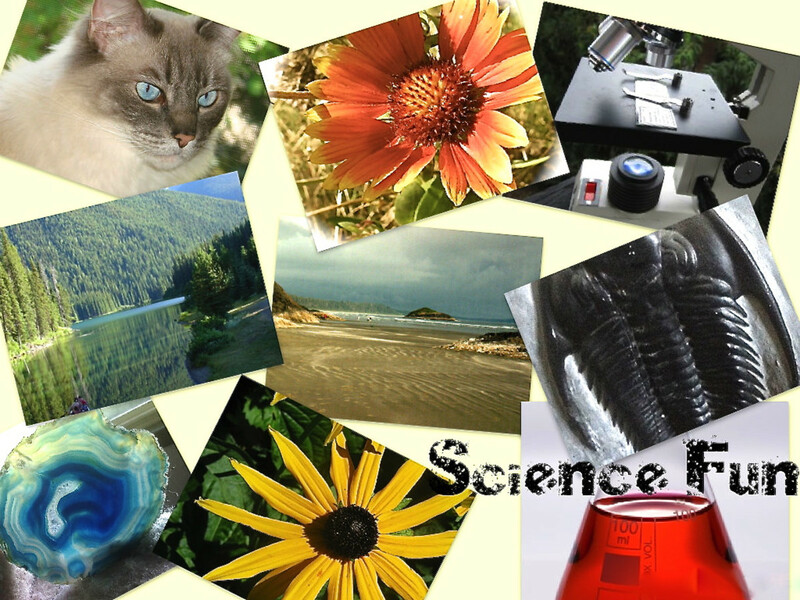 Students link selected parts of an image to videos, text, or links to social media. You can create secure groups of students, and the tools can be used on multiple platforms - desktop, laptop, tablet or mobile devices. It also has Google Drive integration. IBM's Watson Analytics is a visualization tool that puts a whole new twist on your data and charts. It's simple. 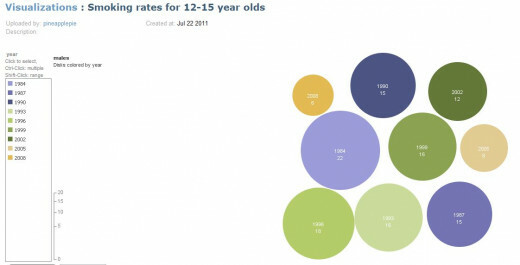 You upload a data set, then pick a visualization tool. Among the visualization tools are maps, graphs, bar charts, histograms, scatterplots, pie charts, tree maps, word trees, and tag clouds. Read what Joseph Miller had to share about the uses of Many Eyes in the K-12 classroom. Registration is required and the basic package is available for free. The Education version of this tool is best suited to high school students is grades 9-12. A free webinar is available to guide you through its applications. Teachers and students can now create their own Wikipedia-like space for collaborating on and communicating what they're learning. Wikispaces has announced it will offer another 250,00 ad-free, private Wikispaces for Educators. You can learn more about it at their Wikispace blog. 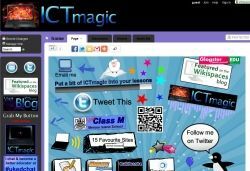 There's also an excellent collaborative wiki for teachers, Classroom 2.0, with some great ideas for classroom uses of wikis. Create your own "Wikipedia" of classroom learning. Secure for use by students of all ages, as student accounts are created under teacher account. 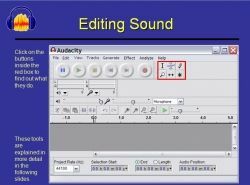 Audacity is a downloadable software sound editor. This award-winning sound editor helps students and teachers personalize their projects. The digital recordings can then be used in combination with presentation software or video software. Cut, splice and mix sounds. Change the speed and pitch. Use it to create podcasts and mp3 recordings and download them to a player or CD. Convert your favorite old records and tapes to digital recordings. Secure for student use when downloaded using a teacher's or parent's email account. Flickr is a website where you share and edit your photos. Flickr handles the organization and sharing. 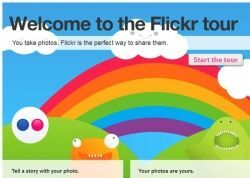 Its ease-of-use and integration of the partnership has made Flickr a standard link-in in many Web 2.0 websites. You can create private groups of students and teachers to share and view photos. Flickr has integrated itself well into established online applications and services, such as blogs and Facebook. 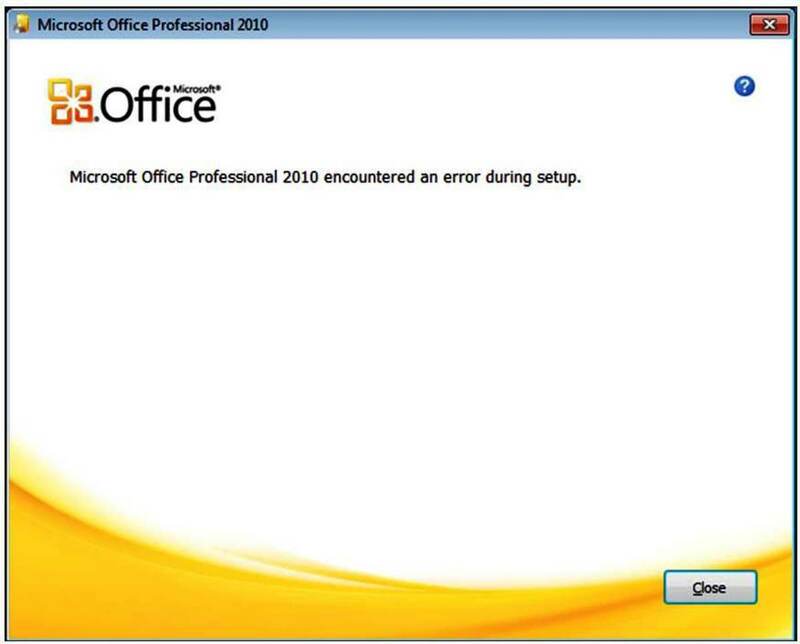 How to resolve "Microsoft Office 2010 Professional encountered an error during setup"